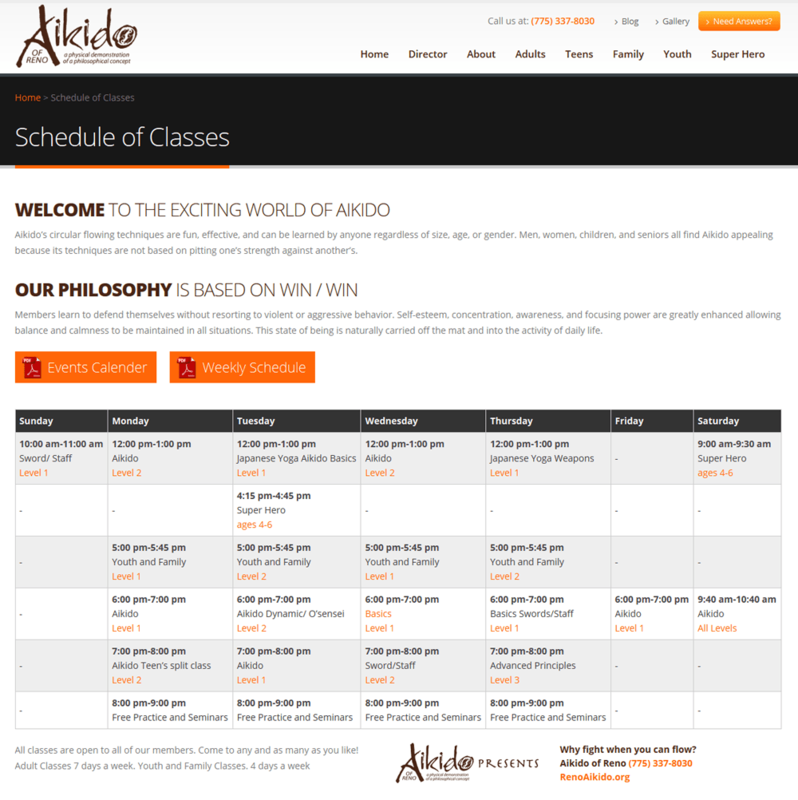 Aikido Dojo in Reno is a well established Aikido Dojo in Reno. They provide Aikido Training to young & adults with beginners and advanced training classes. 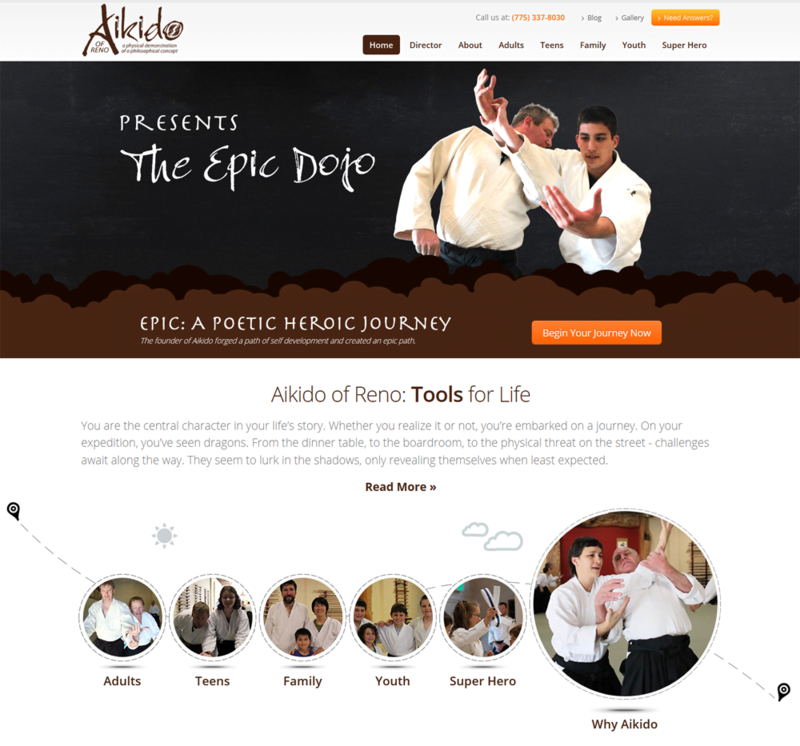 The need was to build a new look for the site that matches with the unique service offered by the Reno Aikido Dojo led by Sensei Vince Salvatore. 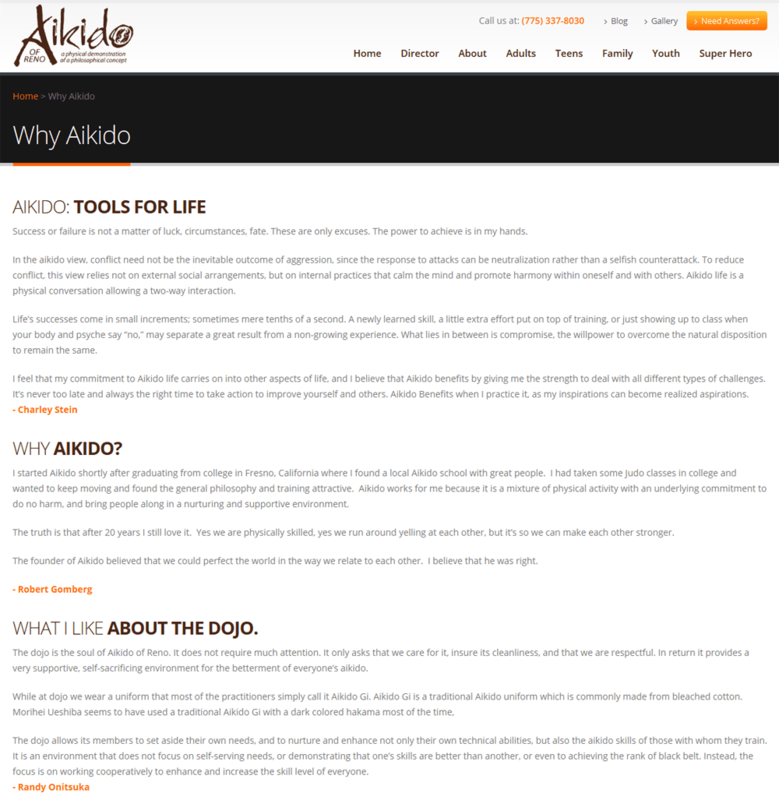 The Aikido dojo needed to reinvent itself on the web, the old static site was simply not enough to enthuse users to join any more, a new web presence that used social networking and delivered content to mobile devices as needed. This was a fun project due to the creative freedom that Vince ended to us, we created a unique UI that included graphics of circles with people enjoying the Aikido practice, this was very well received and after a few enhancements the UI was finalized. We used WordPress as the CMS to ensure Vince was able to modify all site aspects himself plus the site also gets SEO benefits. The complete UI was converted to a responsive website that was rigorously tested on all popular devices and platforms, the result was truly exceptional. Users love the new website especially the social networking integration and videos loading from the Youtube channel we created. The site has improved user retention, subscriptions as well as google ranks for vital keywords.